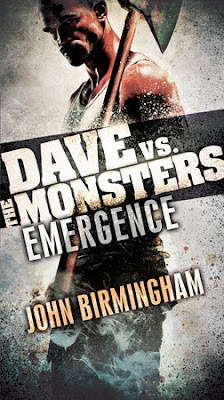 Dave vs the Monsters, Emergence is the first book in the Dave Hooper trilogy featuring a middle-aged oil-rig safety officer who gets dragged into a fight between humans and monsters who live in the ‘under-realm’ – the first book details the war that starts off when the monsters ‘emerge’ onto Earth, when some accidental portals are opened between the two realms. I am just coming off a binge watch of all thirteen episodes of Daredevil, season one. And man! What a brilliant watch! 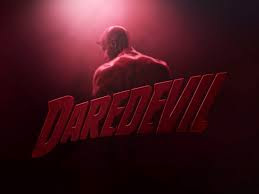 Marvel’s dark knight, Daredevil – an original series from Netflix really is an outstanding series, aesthetically and thematically being very dark – and realistic in terms of treatment of the comic book – comes out a winner at all levels. Hell’s Kitchen, the neighbourhood where the story plays out is home for Matt Murdoch, a blind lawyer by day and vigilante by night, cleaning up the evil in the city. Shady human traffickers and shadier real estate developers, the backside of Manhattan’s city skyscraper is the breeding ground for many such. And the kingpin of all this, is Wilson Fiske – a man who deludes himself into believing that he is “cleaning” up the city himself, making it a beautiful place to live in. First season pits Matt against Fiske in a game of shadows that ups the ante – when it comes to suspense and violence as we head towards the climax. Today, I would like to welcome Sommer Nectarhoff to Fantasy Smorgasbord! So Sommer Nectarhoff is the author of the upcoming epic fantasy, The Death of Ydain releasing worldwide on Dec 18th. 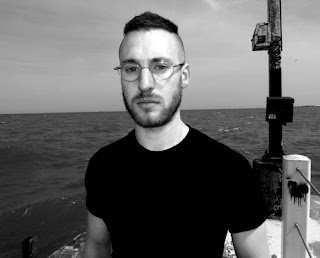 We caught up with Sommer to chat about his upcoming novel, the success of his previous dark fantasy ten-book series, The book of Lokk, and lots more. So for the readers of the blog, please tell us who is Sommer Nectarhoff. Hey! Naturally I’m a writer, haha. But I’m from Chicago and currently a student at Tufts University in Boston. It’s safe to say I’m a nerd—not only for fantasy but in most walks of life—and writing’s been in my genes since day one. Your new book, The Death of Ydain is releasing this Friday, Dec 18th. It has a mind-blowing cover and a very intriguing premise. Tell us more about the book and what inspired you to write it? 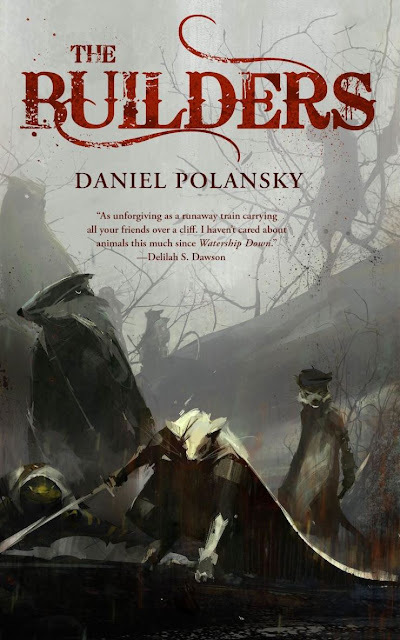 With this novella from Tor.com, Daniel Polansky has become my all-time favorite grim-dark author. Builders packs in quite a lot of punch in this small novella, just over hundred and ninety pages that is a unique mix of spaghetti western by way of blood-soaked revenge story featuring fantastical furry intelligent animals banding together for one final "job". This is my introduction to Polansky's works - having missed out the Low Town series of books - and what an introduction! Bullets flying fast, furry feathers exploding everywhere, sparse and stark dark humor filling up the silence left in the narrative when this anthropomorphic fantasy gets rolling. It's sheer genius to have got this right. And Daniel does a bang-up job of investing us in the bleak future of this group of animals - getting ready Kill-Bill style to avenge an old slight against a powerful enemy who had split them up once before. Confessions, I haven’t played the Deadlands RPG before nor did I have any clue as to what the game is about. So was a greenhorn thrust headlong into this fantastic world – a weird western landscape where the discovery of “ghost-rock” has accelerated technological innovations and at the same time, thinned the veil between worlds to allow for other-worldly ‘souls’ to invade the human realm. And man, did I love this pulpy adventure or what. This unlikely juxtaposition of two to three different genres makes for a crackling hotbed of stories and ideas ripe for more. 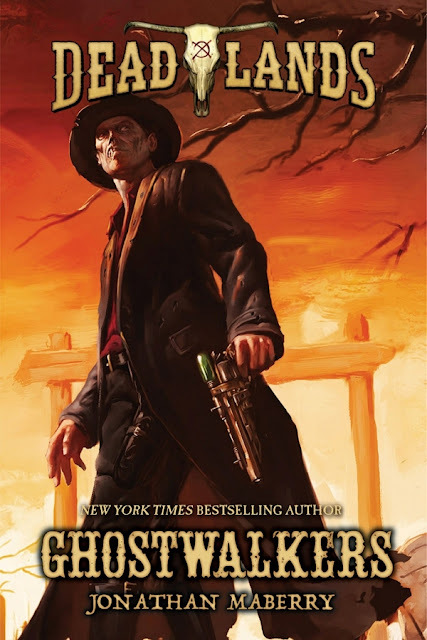 And Jonathan Maberry, the best-selling author of the Joe Ledger series, digs right in and comes up with pure gold in this opener to this franchise-based novels.